-Located off the south west coast of Thailand. -It is Thailand’s largest island. 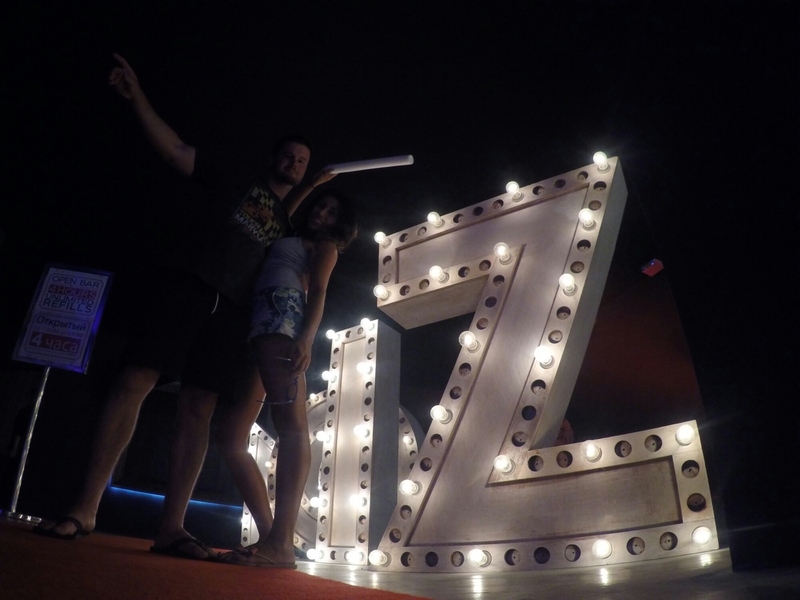 We flew Fireflyz from Penang, Malaysia to Phuket, Thailand. Paid 869.90 MYR/pp. It was only a quick 40min flight. Either at Patong, Kata or Karon Beach. 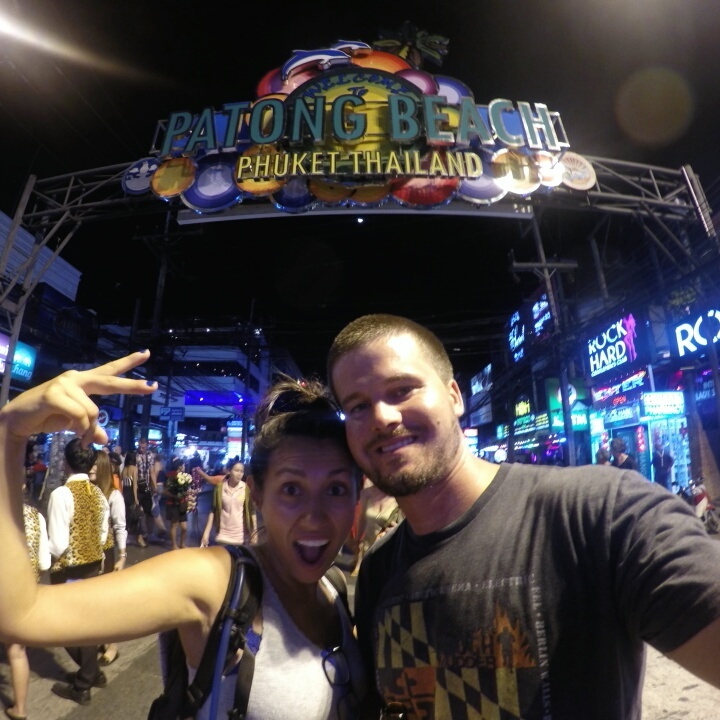 Patong is where the party is at, nice beach, markets and lots of people. Karon is the quiter of the three and Kata has some nightlife and nice beaches. Patong – 2C Phuket Residence. Paid 1000Baht /per night. Very budget, great staff, great location. Review here. Would stay here again. Decided on Patong because we could always do day trips to the other beaches and figure would be better to be close to Bangla Road for the nightlife. -Airport Shuttle/Minibus: It takes longer than taxi but way cheaper. We paid 180Baht/pp to get to Patong (a taxi is ~700Baht). There is a bunch of desks outside the airport and you basically just pick one, all have the same set price. The driver didn’t have our hotel names and stopped at a travel agency to supposedly organize the drop off order, but the main reason was to try and sell us tours and stuff, kind of annoying but once you say no they leave you alone and you keep going. 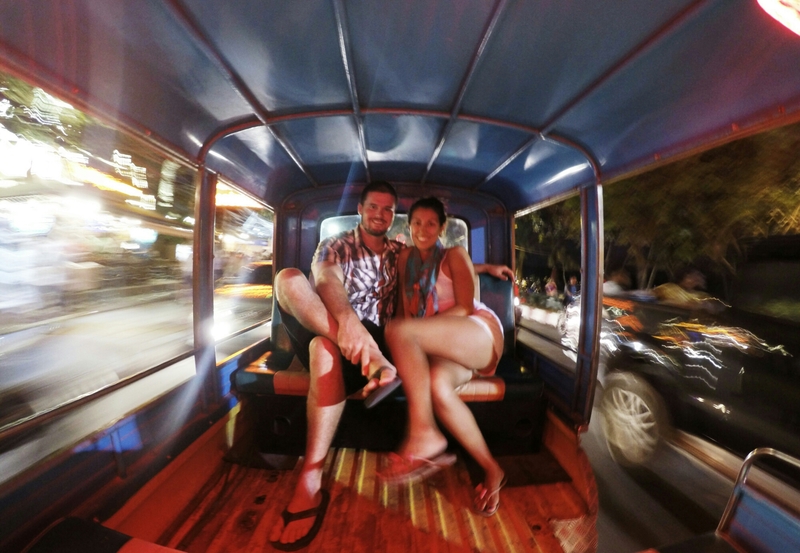 -Tuk Tuk: The tuk tuks here are not the tiny ones you’ve probably seen before, they are a bit bigger and closer to a car than a bike. 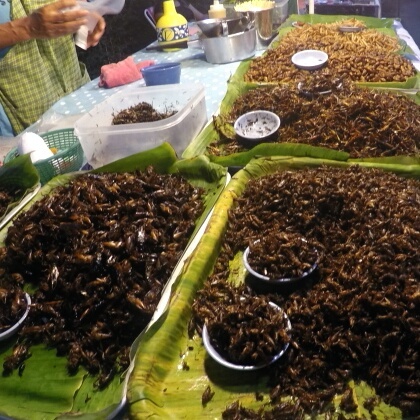 We only used it once to go to the market in Patong and were to hungry to do the 20min walk. We paid about 100Baht and the driver pit loud music so we were singing and having a good time. -Motorbike/Scooter: We were hesitant about renting one after seeing so many tourists bruised up and injured. 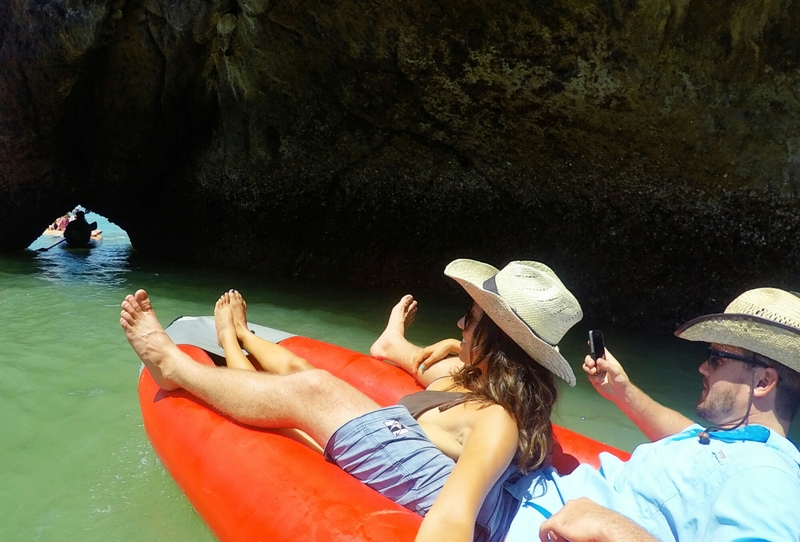 In Bali we knew there was no way we would get on one, but here the streets didn’t seem as crowded and crazy so we decided to rent one for the day to check out some of the other beaches and towns. We paid 150Baht per 24hrs, and thankfully Blaise is a great driver and it all went fine. I opted to take the back seat as I know I like speed and don’t like bruises or injuries. WED, FEB 25: Travel day. First Thai food experience. Massage. Manicure. Party until 3am in Bangla Road. THU, FEB 26: Late start. 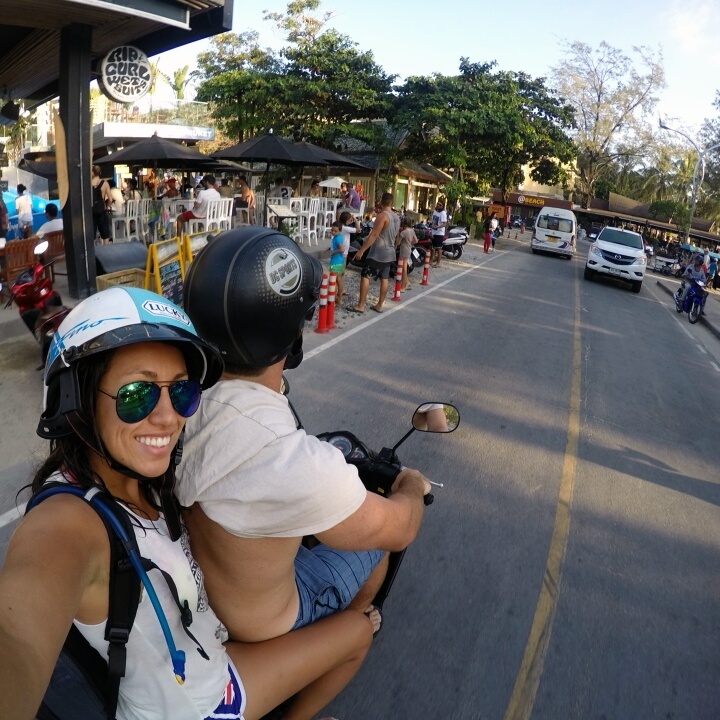 Rented Motorbike – Paid 150Baht/day. Checked out Karen and Kata Beach. Long nap at beach. 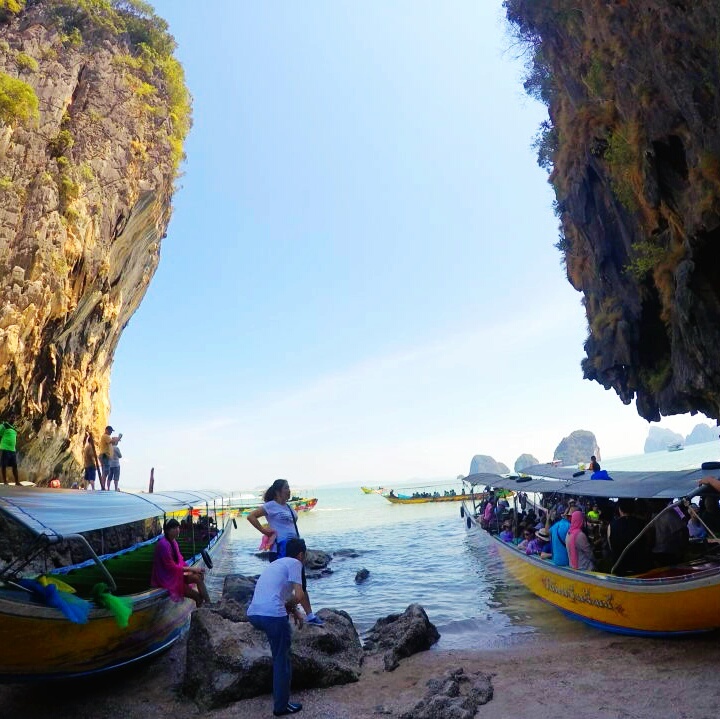 FRI, FEB 27: James Bond Island Tour with SCR Travel Phuket – Paid 1500Baht/pp. 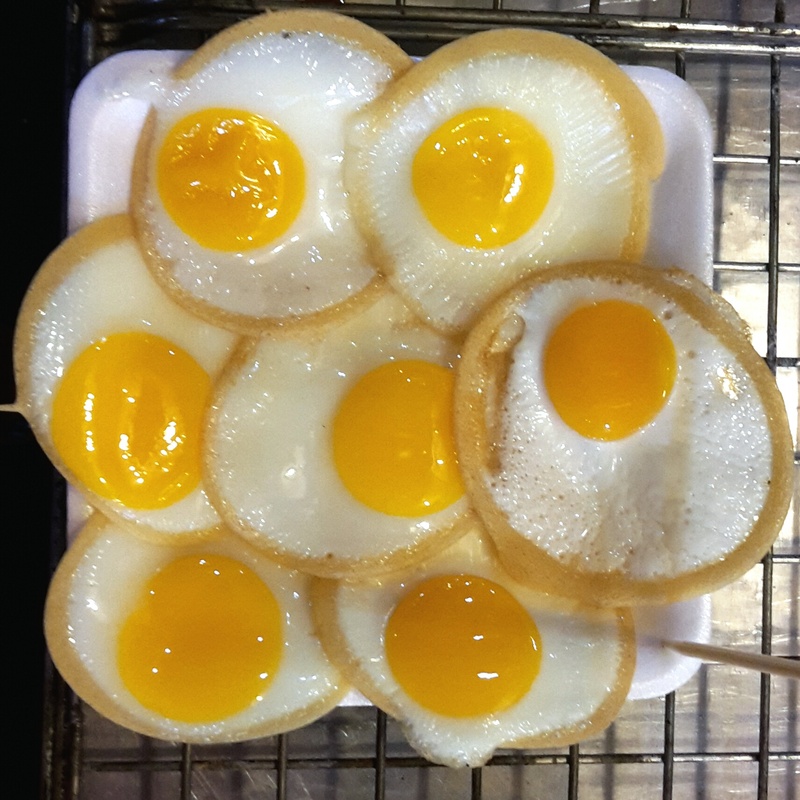 Night Market. Massage. 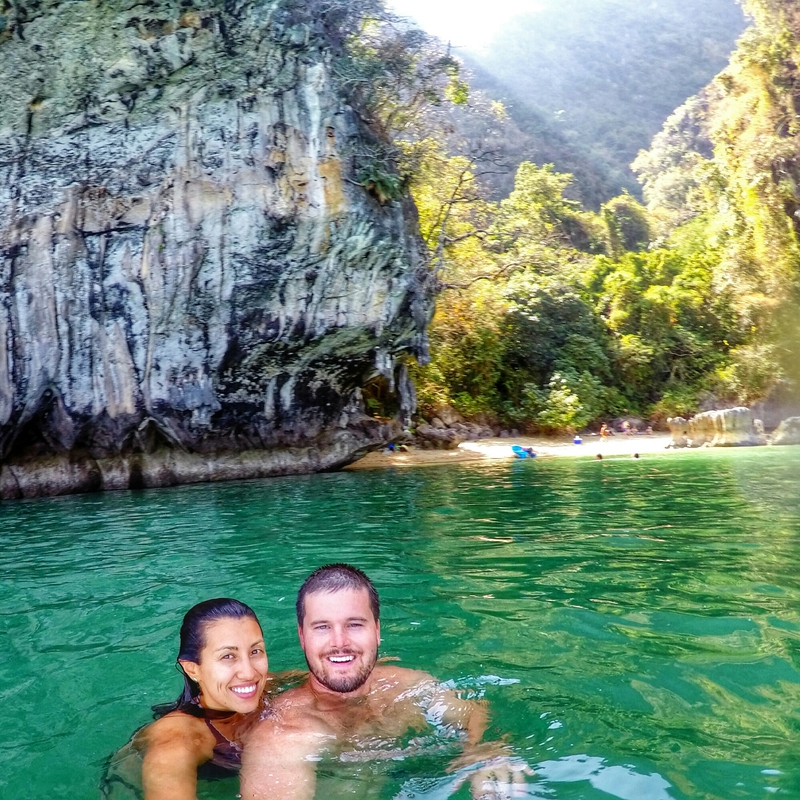 SAT, FEB 28: Travel day to Phi Phi Islands. 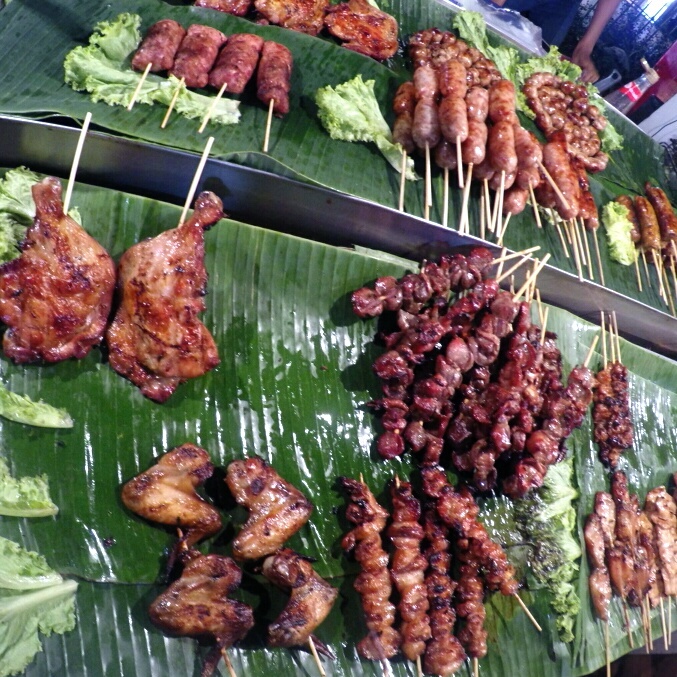 -Eat dinner at the night market every night. -Leave hotel room key at the front desk instead of taking it with us. -Go to Khao Khad Hill in the Southeast coast of the island. We had a rough start in Phuket. When we got to the hotel, the nice front desk guy, Martin, informed us that our booking didn’t start until the following day. After I confirmed that he was correct, I realized that I had booked at 1am (we plan and book hotels as we go) of that same day and thought it was still night time of the day before so I booked for the following day instead of realizing it was already the morning of the day we were traveling to Phuket. We were lucky as the room we were supposed to stay at was booked by a guy that had actually left earlier that morning to attend an unexpected call so our room got freed up. Later than night we got back to the hotel and realized our room key was gone, it probably fell from our camelbak at some point, 1000Baht later and we had a new one. Hence the earlier tip, expensive keys should stay back at the front desk. We got lucky again as the actual cost stated in the agreement was about 3000Baht, but Martin from the front desk was so helpful and understanding. Mishaps apart Phuket is a crazy, fun, crowded, pretty island. The main party is in Bangla Road in Patong. As soon as you get there you are surrounded by bars, clubs, restaurants and promoters offering you free drinks, club passes and of course Ping Pong shows (more on that once I actually attend one). There are also the very common Thai Lady Boys promoting their shows. 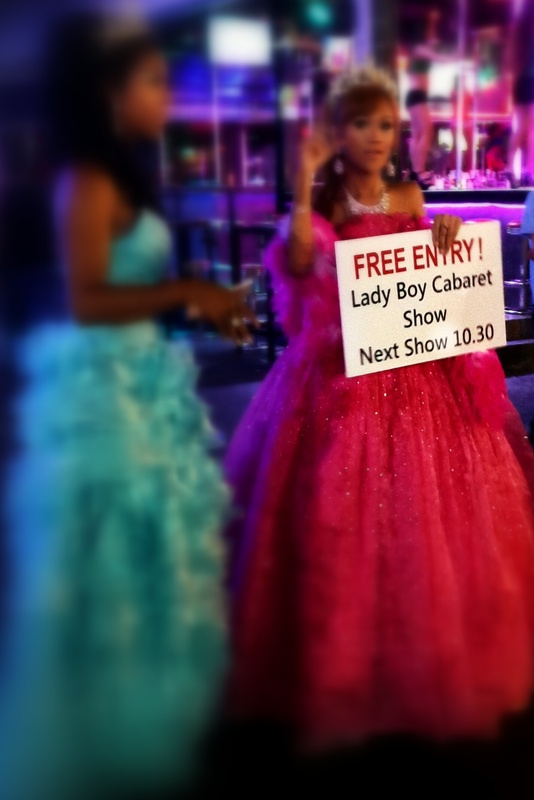 Lady Boys, or Kathoey are a sort of third gender in Thailand. Similar to a transvestite, a transgender woman or effeminate gay male. The thing is they are not just your typical drag queen that you would see at cabarets or shows. They are widely accepted in Thailand as part of society, they hold jobs in different industries, and many times is very difficult to tell a Lady Boy and a women apart. I have to admit, it was a bit weird. One thing is going to a Drag show and another is getting a manicure by a man that looks like a woman. The first night we were just going to have a massage and check out the famous Bangla road, but somehow one free drink led to another and we ended up clubbing until 3am. At the first bar we went to, we saw a few kids breathing out of this balloons that a waitress was offering. I’ve never seen that before and though it was helium to make your voice sound funny, but apparently it was Nitrous Oxygen and it gives you some sort of high. You can get a balloon for 100Baht. Didn’t try it so no clue what it feels like. 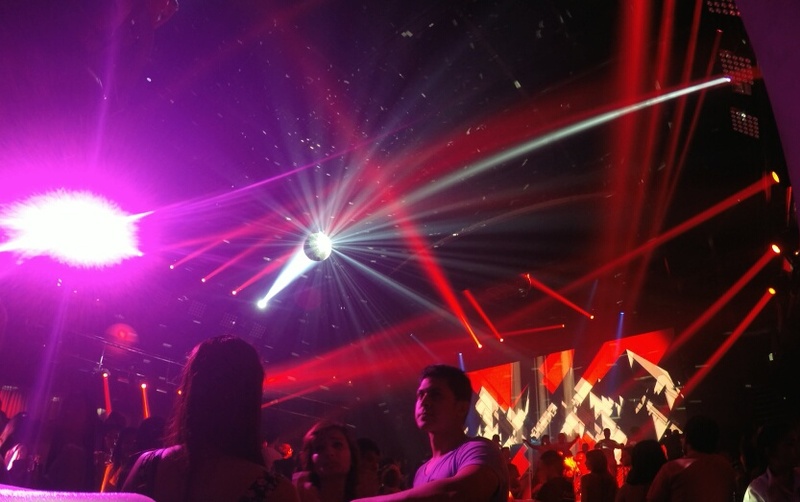 We ended up at this massive club that reminded me of Mansion in South Beach on the good old days, and danced all night long. The next day we woke up late, rented a scooter and drove towards Karen and Kata Beach. Karen seemed a bit boring so we only stopped for a bite to eat and some pictures. Kata in the other hand was a bit more happening, had a nice beach with a few trees that provided shade, so we ended up napping under a tree for a bit. The James Bond Island Tour the next day actually took us to quite a few spots before getting to the Island. 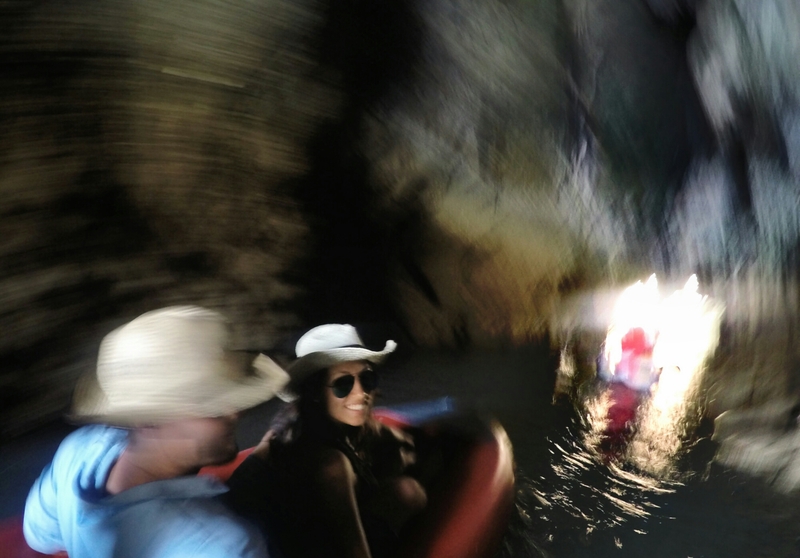 We canoed through some caves and beautiful coves, swam in remote islands with isolated little beaches, and canoed some more. The original name of the James Bond Island is Khao Ping Kan, but nobody calls is like that anymore, not even the locals. It is a very touristic island, as soon as they unloaded us from the long boat, we were greeted by a swarm of people and souvenir shacks. It’s very small as well so it only took us 30-45mins to check it our. The beach itself was also quite crowded by the daily visitors that come to see the famous 20 meter tall islet in the middle called Ko Tapu. 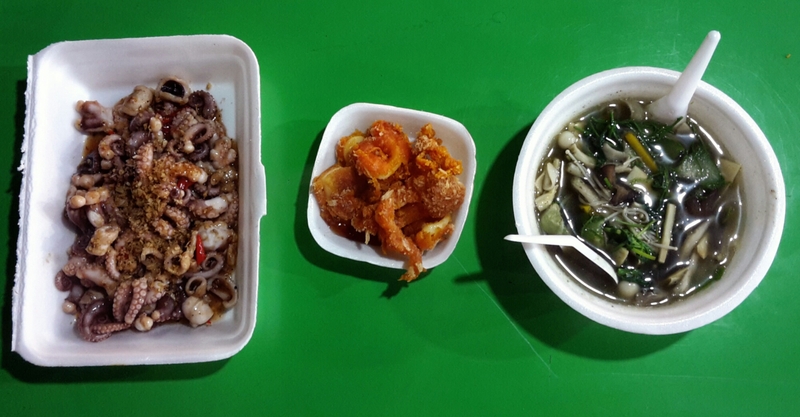 The night market is the way to go for dinner in Phuket.We went to the Banzaan Night Market, which is quite close to Bangla Road, and tried the best octupus we’ve had in this trip, fried calamari and mushroom soup. 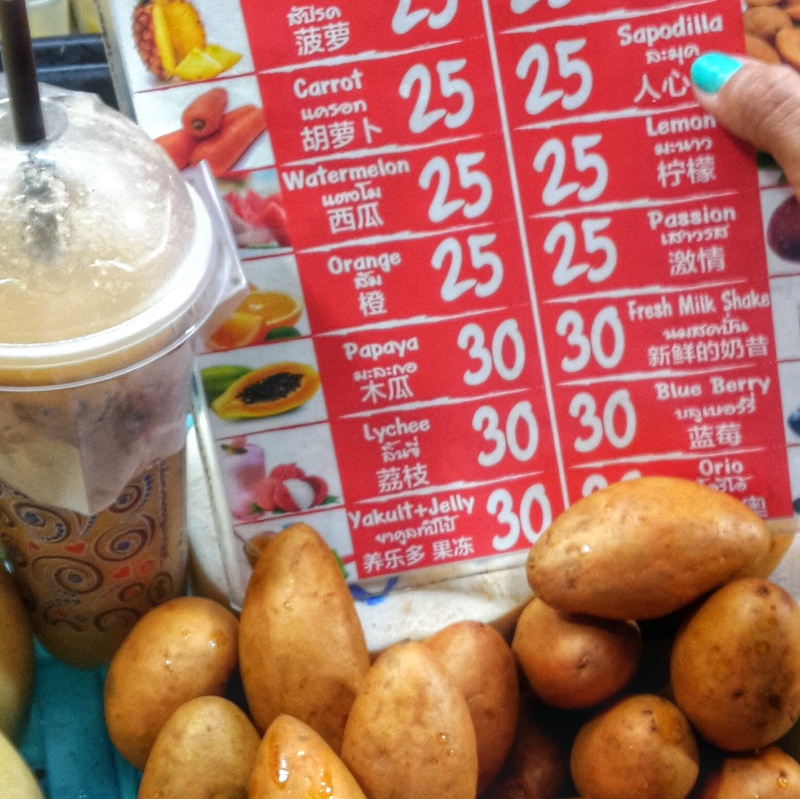 I also decided to try Sapodilla juice. I’ve never heard of it before but it was quite yummy. Oh, and of course, we had to try desert. We picked a homemade coconut ice cream. It was served on a coconut shell with the flesh scrapped and ready to eat mixed with the ice cream. We added all the toppings available: peanuts, sparkles, corn, and three different jelly like things. It was a mistake. 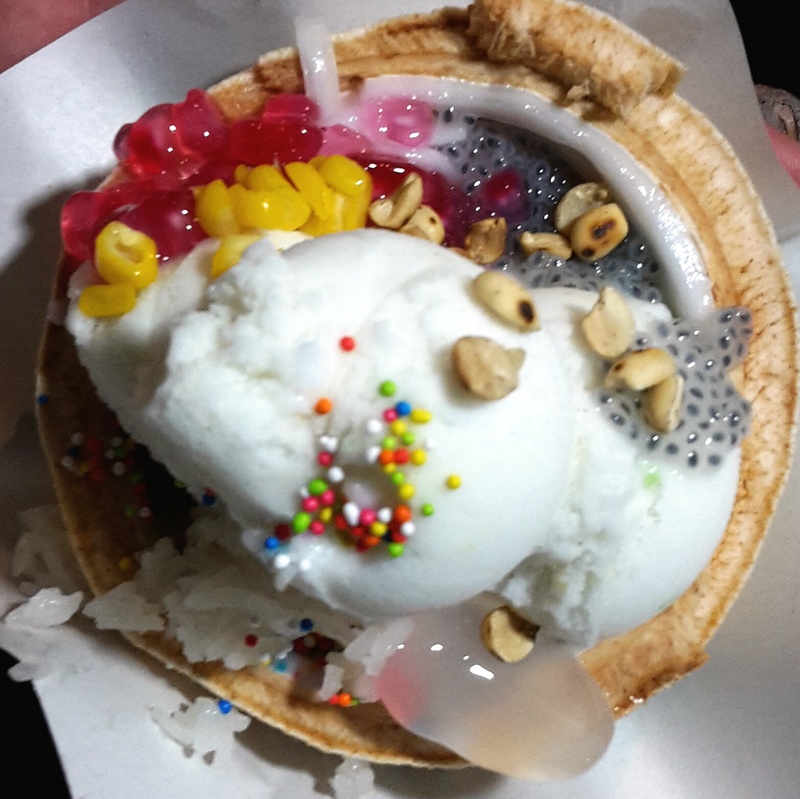 The toppings didn’t ruin it, and we still ate it all, but the ice cream with the fresh coconut chunks by itself would’ve been a bit more amazing. 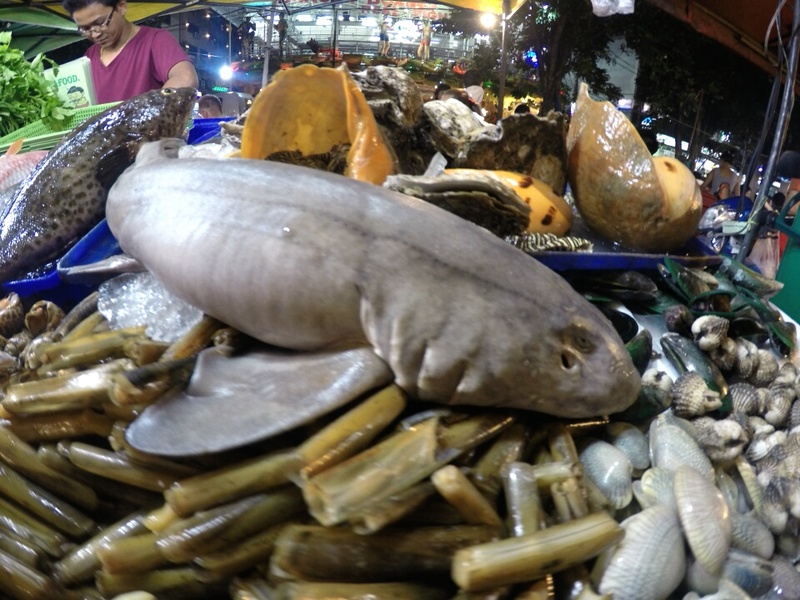 You can also get all sorts of meats, bugs, fried goodness, quail eggs and shark, amongst others. 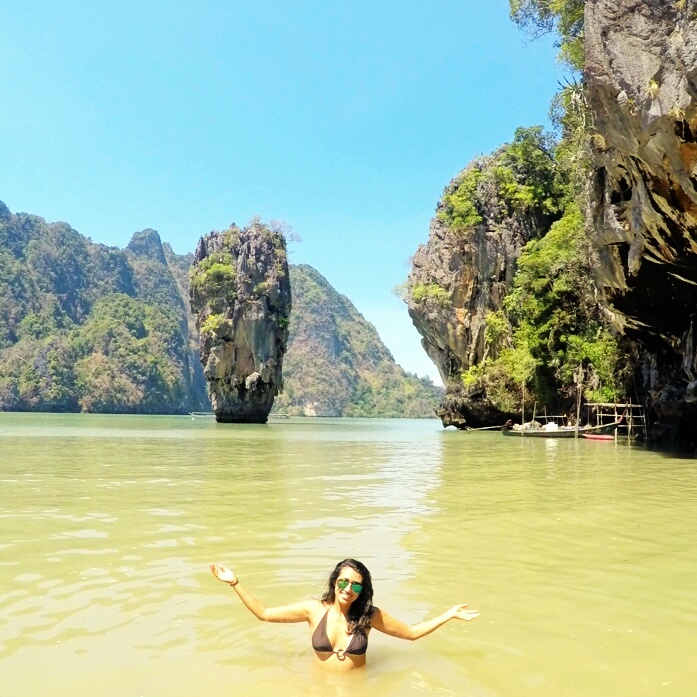 In summary, the crazy and exotic Phuket Island is definitely worth a stop for at least a couple of days.